This property originally started life as a single storey bungalow and over the years was extended and renovated into a two storey property. Bought as such by our clients it contained a variety of different construction techniques that all required our attention. Internally the rooms were dis-jointed with no “flow” between them. All rooms exited into a common corridor, void of natural light, with little or no interconnection. This made entertaining difficult as one had to leave the party to put on the kettle! Our brief was to renovate the house for a modern family. Provide open plan living while allowing for “sectioning off” rooms to create cosy family spaces. 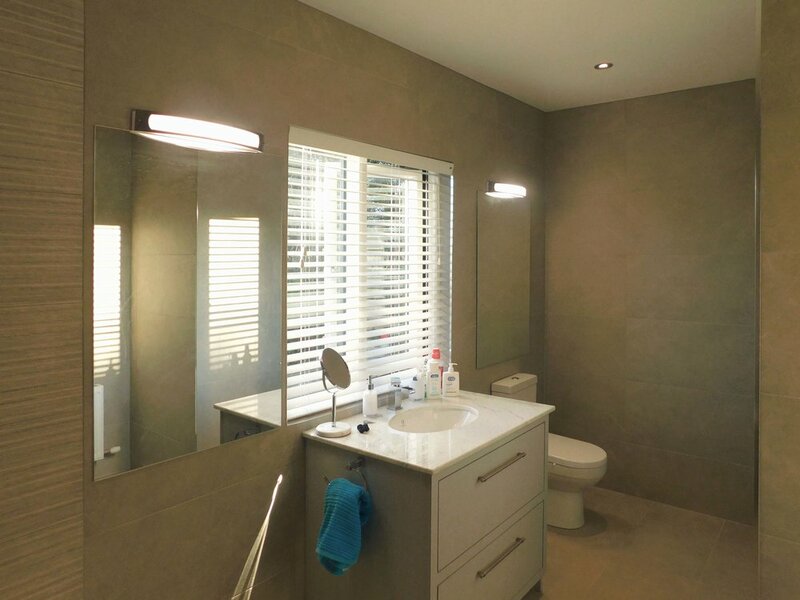 With this in mind, we constructed a single storey extension to the rear thus enlarging the living spaces and creating the inter connectivity this property required. 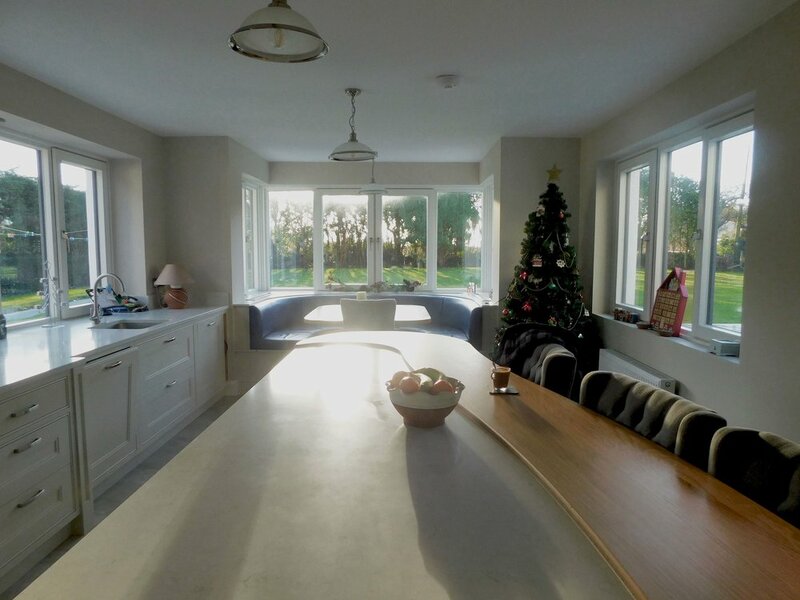 The kitchen was relocated to the rear of the property and extended to include a dining area and large island unit. Connections were made to the formal dining room and lounge by means of large pocket doors recessing into the walls. All this and still staying under 40sqm meaning a lengthy planning process was avoided.